When my children were small and then before that, when my sisters and I were young, Christmas was a time for making Bumble Bees, Apricot Balls and Rum Balls. Food trends change and now the fashion is to make delicate chocolates and dusted truffles. But while we experiment with the more trendy Christmas treats, we always come back to our old fashioned favourites. 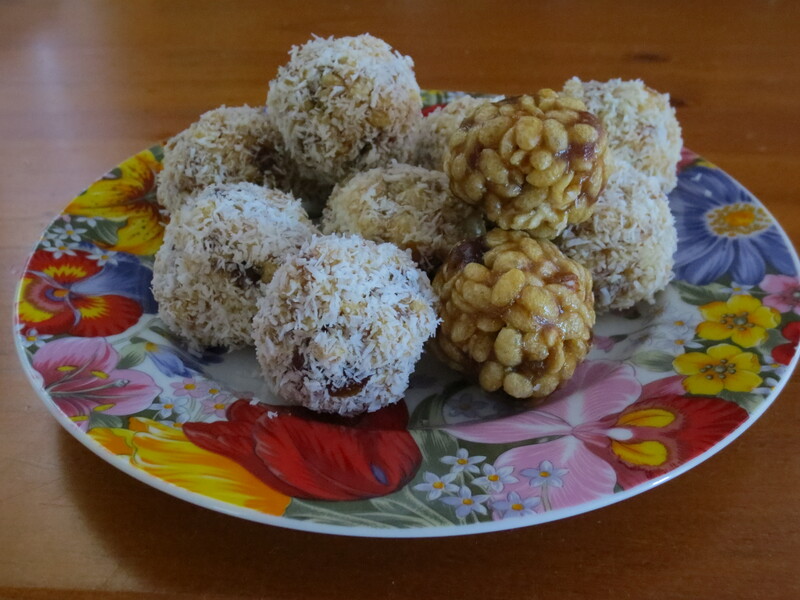 This recipe is my mother’s and I am sure the week before Christmas we will be going over to grandma’s with the boys and under her watchful eye, make Bumble Bees and Rum Balls yet again. We will have discussions about how big to make them, we will spill coconut everywhere and my mother will question why we are in her kitchen making the mess. But we will have fun, we will talk and we will share family time. 1. Combine dates, butter and sugar in a saucepan and cook on low heat and stir until butter is melted. Set aside to cool. 2. In a large bowl, add rice puffs, rum and date mixture and combine. 3. Roll tablespoon balls of mixture and coat in coconut. And yummy!!!! Lots of butter but we only tend to make them once a year. Yeah they look fabulous. I may try them over the Christmas Holiday!